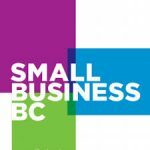 Small Business BC celebrates Small Business Month with Free Seminars through-out October! Small Business Month celebrates the important contributions entrepreneurs make to the BC economy and to their local communities. Now in its seventh successful year, this October we encourage small business owners and entrepreneurs to take the time to develop your business ideas or to find new and exciting ways to improve and grow your business. With the support of our partners, events and activities will be held right across the province, promoting the many organizations and groups that offer valuable support and resources to help foster the growth of small business. Small Business BC is once again celebrating Small Business Month by offering free education throughout October. Entrepreneurs are welcome to attend the free seminars being held at the Small Business BC Education Centre in Vancouver. The free seminars will also be broadcast via webinar so that all business owners throughout BC can also easily access these resources as well.